I recently started using Houzz, a community and inspiration tool for home design enthusiasts; my first post on the site is a round-up of outdoor furnishings and accessories for stylish entertaining alfresco. Bright colors and durable fabrics combine to make a whimsical landscape for sharing a summer night outside with friends. A few of my favorite pieces are here like the painted wrought iron chairs from Anthropologie and the colorful patterned outdoor rugs from Terrain. Click over and see all of the items I’ve included in my round-up. Cupcake Lessons. Bar cart alternatives. 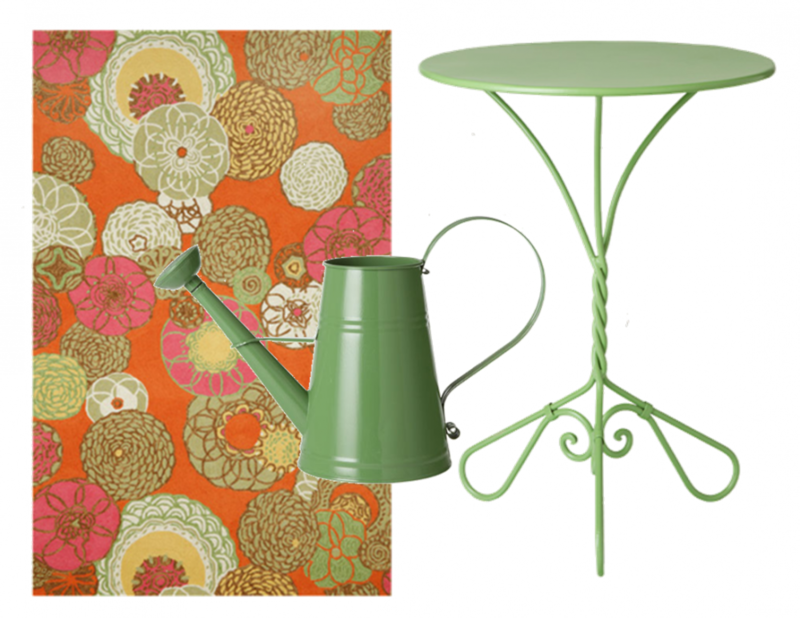 4 Responses to "Entertaining Alfresco." Love Anthro’s wrought iron chairs, so many happy color choices! 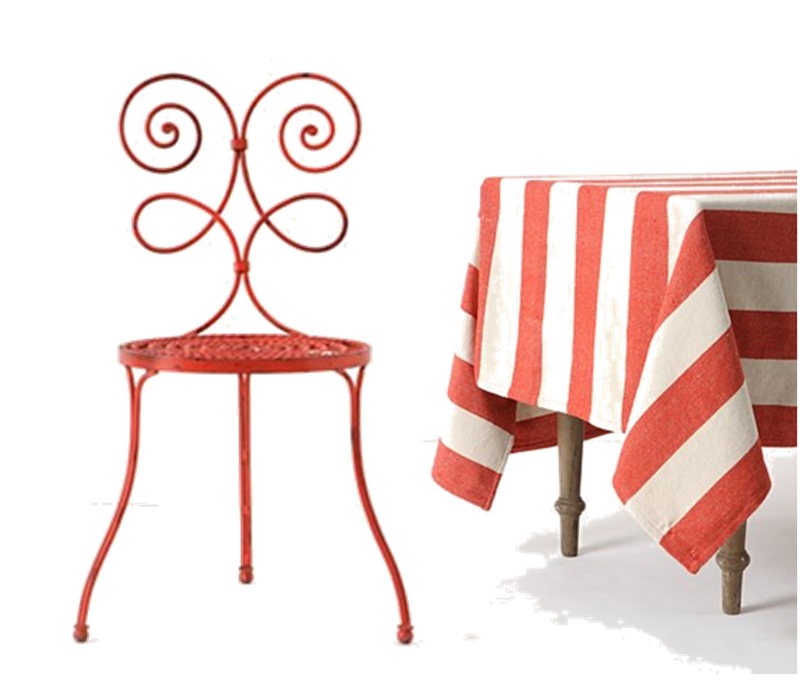 Such a cute pairing with the striped table cloth, makes me excited for the 4th of July! 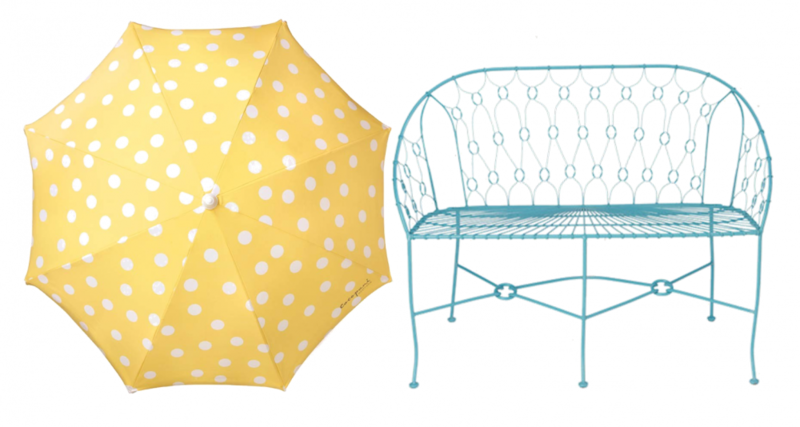 I’m a huge fan of polka dots, so that umbrella is doing it for me. Dining Alfresco is one of the things I’m loving about Charlotte… I get nicer weather for much longer than I used to! love that bold & beautiful rug! Love this round up and lovvvveee al fresco eating! Makes me wish I was not a renter with a fabulous outdoor patio and backyard.